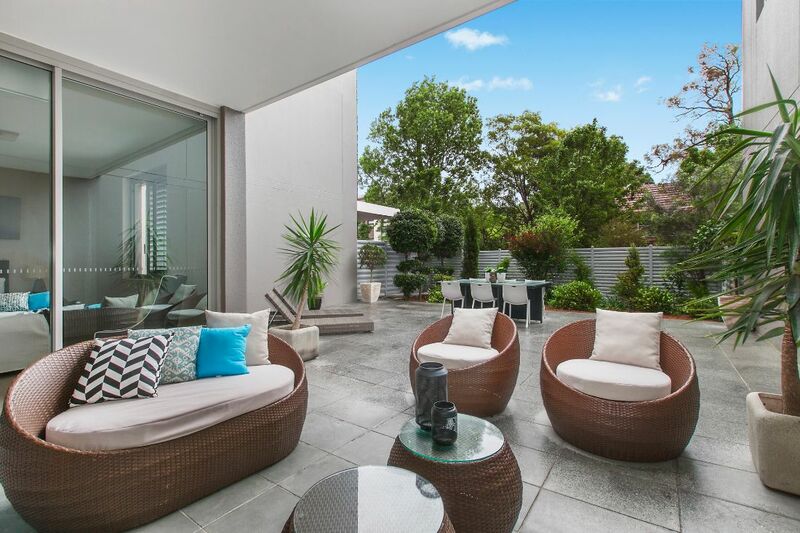 An enviable abode granting a carefree lifestyle in the prestigious ‘Kirra on Powell’ development in Killara. To showcase the true potential of this lavish ground floor apartment we blended soft neutrals with elegant soft furnishings. 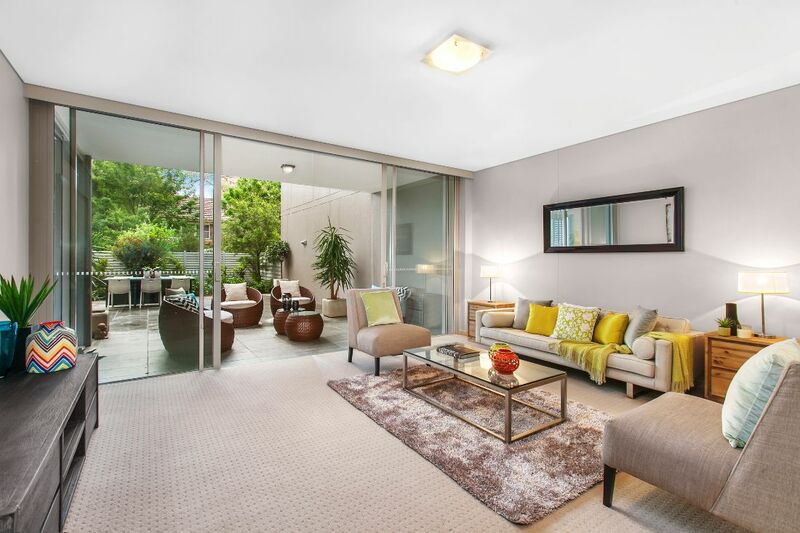 Adding armless occasional chairs to the living area gave the appearance of spaciousness and practicality. The huge outdoor courtyard was divided into two open plan entertaining areas, one for relaxation and another for alfresco dining. 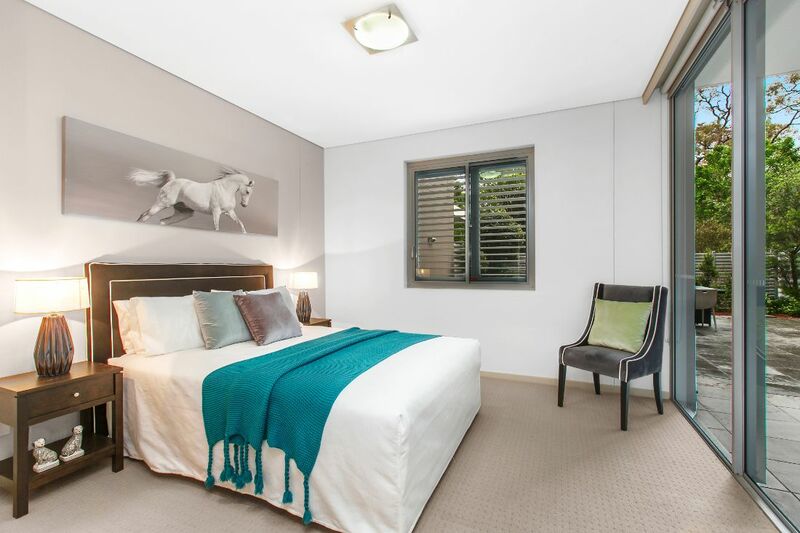 This 2 bedroom property is located at 17 Powell St, Killara.